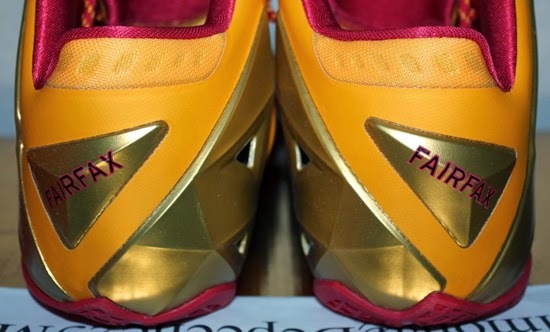 Made exclusively for the Fairfax high school basketball team to wear while playing on the road during the 2013-14 season. 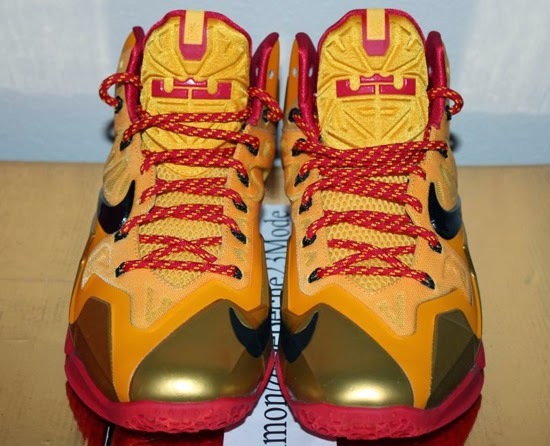 They come in a university gold, black, varsity red and metallic gold colorway. 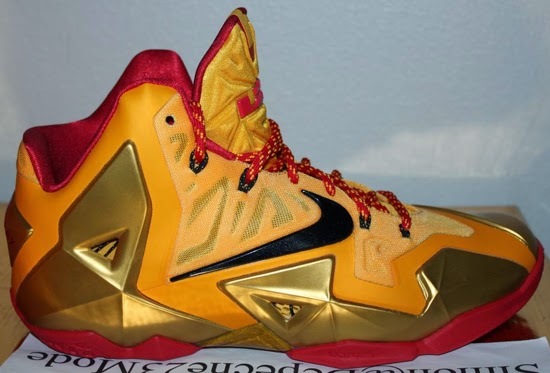 Featuring a gold based upper with a black Swoosh on the sides, metallic gold Armorposite and red accents. 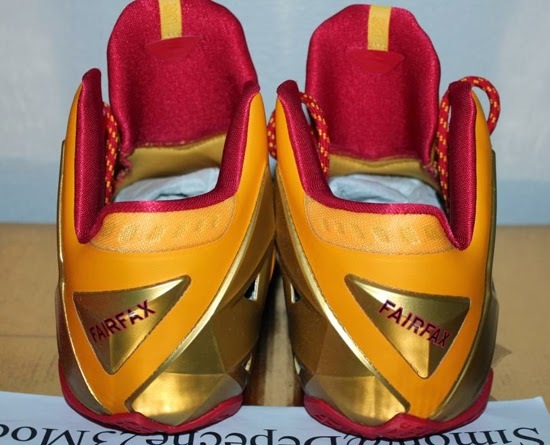 The schools name, "Fairfax" is written in red on the back heels. 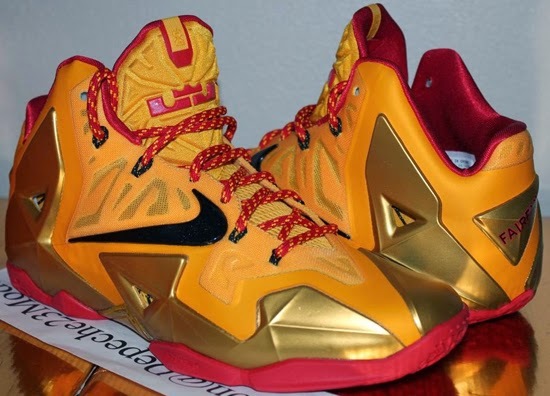 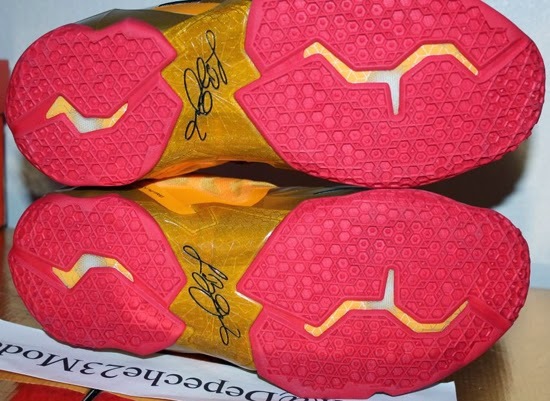 As these are player exclusive's, they were never sold in stores or available to the public. 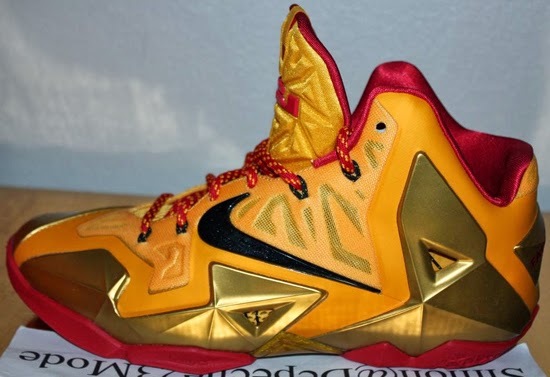 Enjoy the detailed images below of the Fairfax "Away" Nike LeBron 11 PE in university gold, black, varsity red and metallic gold. 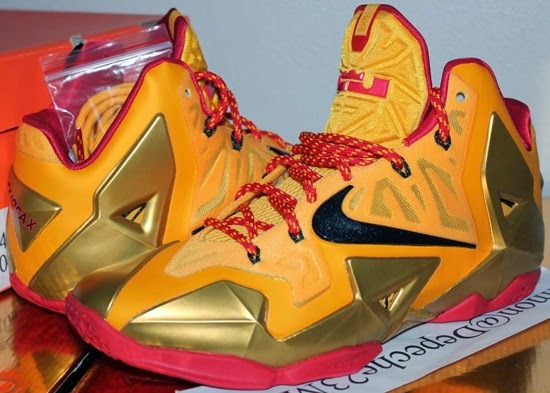 If you can fit a size 10 or, would like to add these to your collection, you can grab them from eBay here.